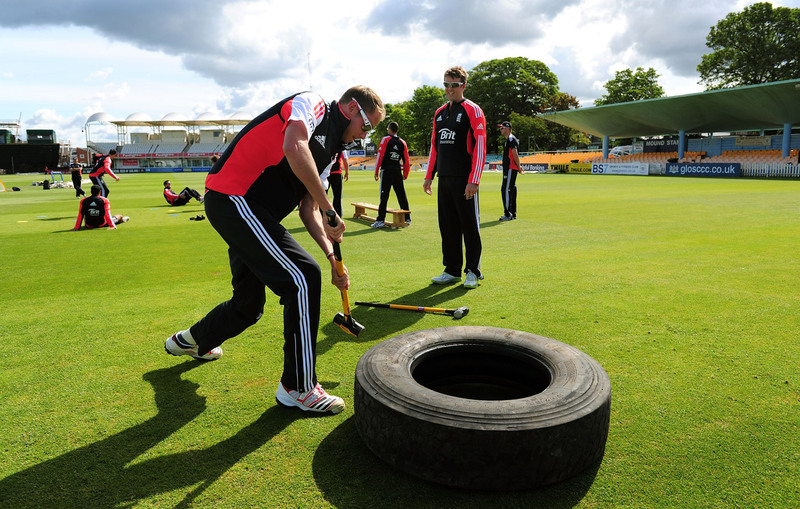 How do cricketers keep fit? 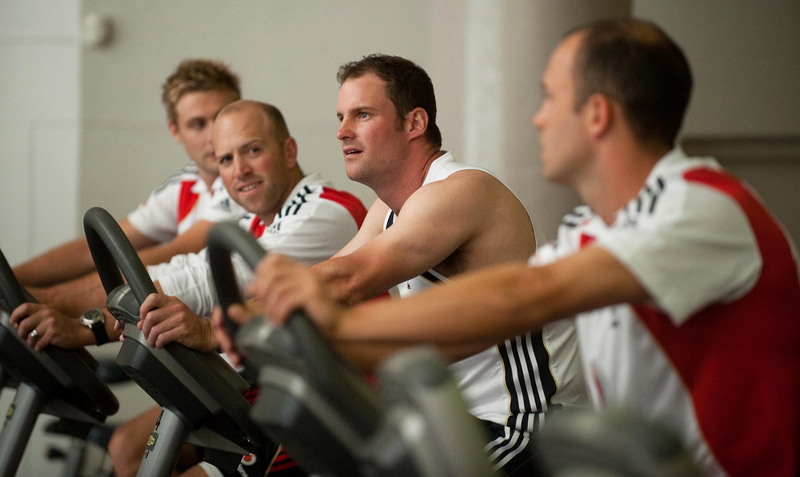 Modern-day cricketers treat fitness as a serious business, making sure they monitor body fat percentage, attend recovery sessions and replenish nutrients through a game. The intensity of fitness regimes is probably still not as high as in sports like football, though it has come a long way from the time when a gentle jog around the park was considered a workout. Perhaps in the time of Grace and Co, the walk to the wicket was warm-up enough. 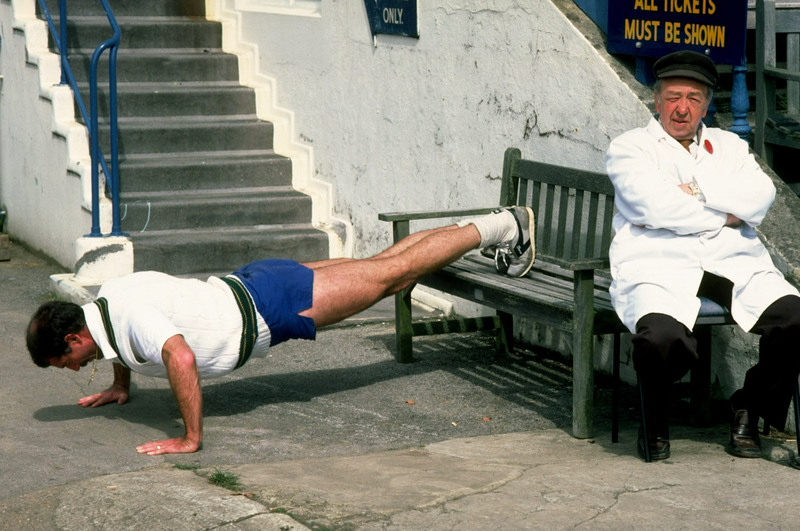 Dennis Lillee was no sloth when it came to staying fit. In Dennis Lillee's Book of Family Fitness, he charts out an everyday routine that you can follow with your kids (he also shows you how to turn off the TV so they don't turn into couch potatoes). The 1950-51 England Ashes players entertain the other passengers of their cruise ship to Australia with what looks like a version of musical chairs. Close-in fielding maestro Brian Close, 19 at the time, standing at the end of the line on the left, looks over-eager, doesn't he? 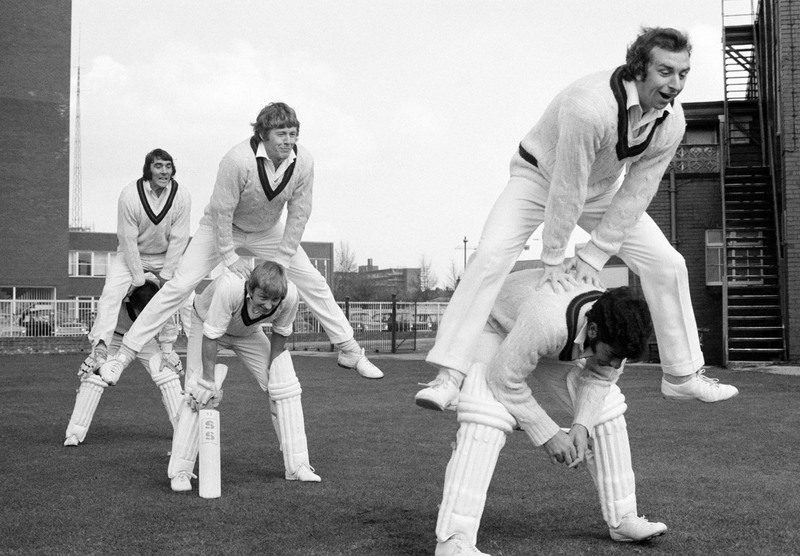 Lancashire players indulge in a spot of pre-season training at Old Trafford in 1973. 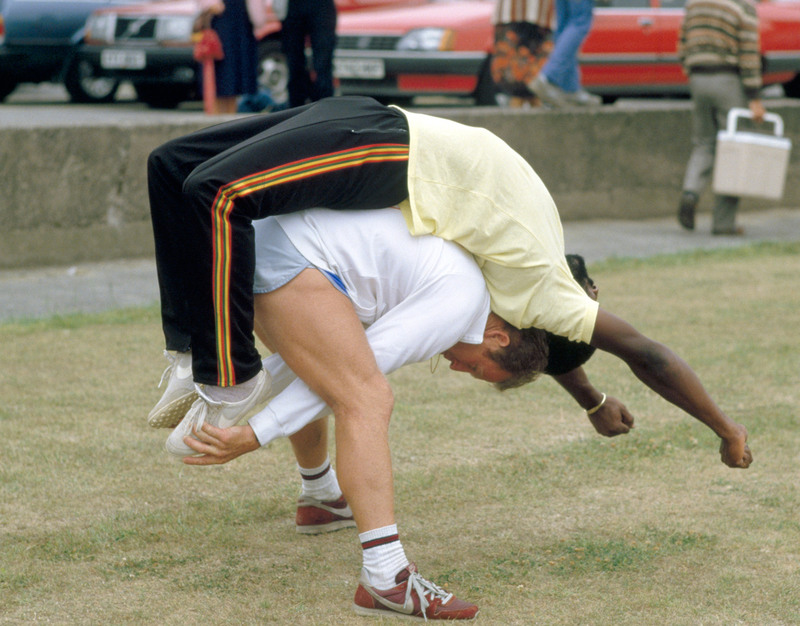 Whatever the benefits of leapfrogging, it also looks like a lot of fun. Though not so much if you scuttle the landing. 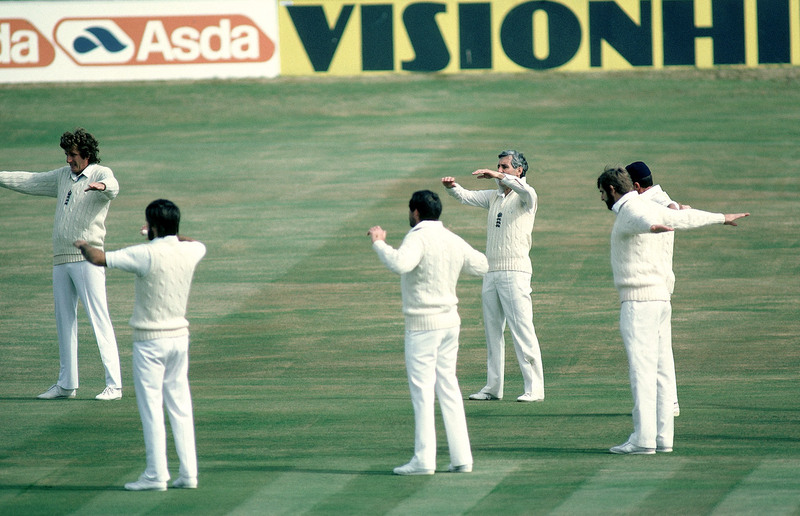 Dennis Waight, the Australian trainer and physio who worked with the West Indies team for over two decades, starting with World Series Cricket in 1977-78, helps Viv Richards stretch before a match at Old Trafford in 1984. 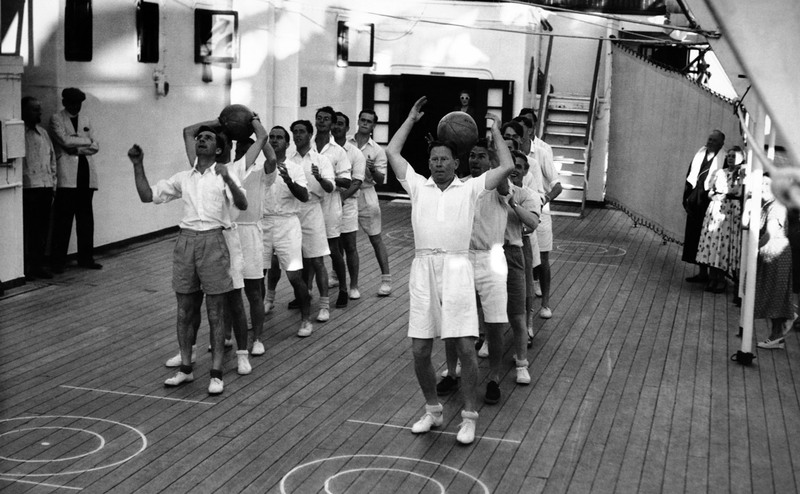 Military-style boot camps became popular when John Buchanan was Australia's coach. 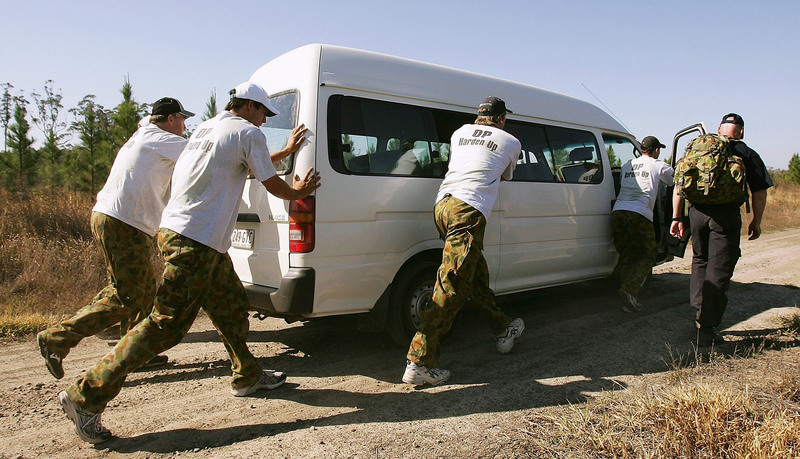 Here, in the Beerwah State Forest in Queensland ahead of the 2006-07 season, Australian players work on team-building as well as the important life skill of pushing a stalled car. Another exercise that brings out your inner mechanic - strengthen your muscles while also testing a tyre for punctures. 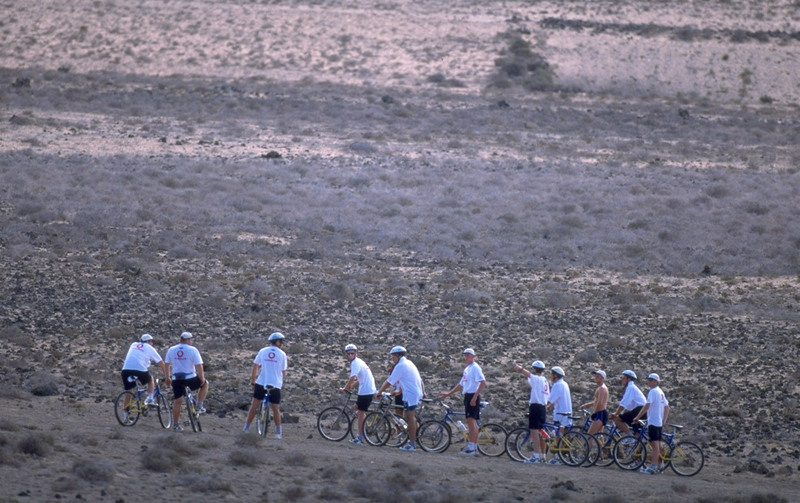 The tyre test might come in handy when team management decides to send you mountain biking in the Canary Islands like the England squad went in November 1997. Ever get the sensation that you're working really hard but getting nowhere? Maybe you're just doing some resistance training. 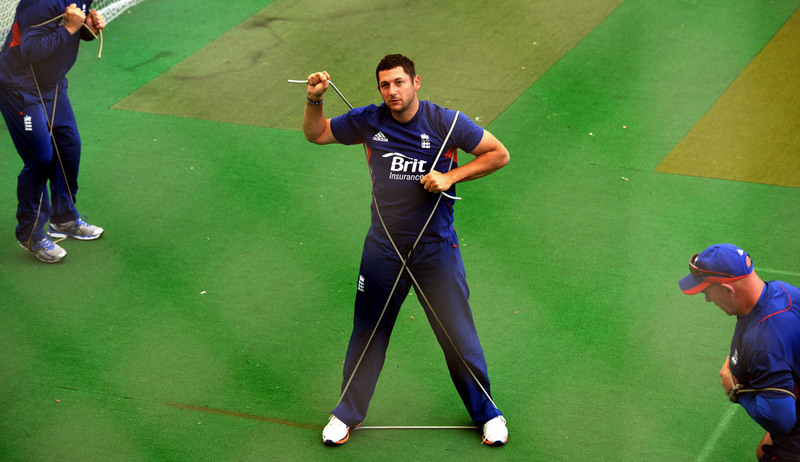 Fifty Shades of Grey with Tim Bresnan. I'm not saying that Inzamam-ul-Haq is not working out in this picture from Multan in 2006, but it kinda looks relaxing, doesn't it? The orange peels lying on the ground are especially reminiscent of lazy winter days spent in the north of the subcontinent. Majid Khan makes core workout look pretty chill too, in Lahore, 1980. 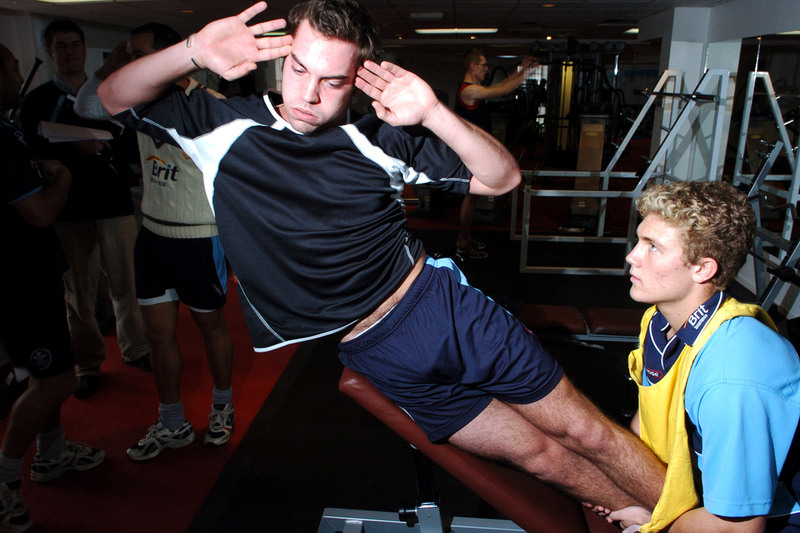 Surrey's James Benning (left) also does some core training on an exercise bench. Twerking to keep fit? Why not? It ought to keep the pelvic joint loose and prevent the glutes from getting stiff. Foam-rolling is a popular way of doing self-massage and reducing lactic acid build-up in the muscles these days, though the technique has been around since the '80s. The modern-day version of bonding at a bar.